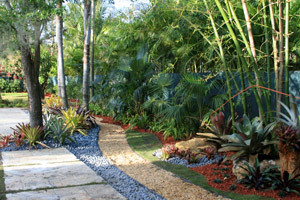 ..:: Contact Tropical Touch Garden Center today in Broward County, South Florida! ::.. Tropical Touch Garden Center is a family-owned, licensed and insured, full service commercial and residential landscaping company serving Broward and Miami-Dade Counties, and the surrounding areas in South Florida. Contact us for more information, to schedule your FREE Design Consultation or for inquiries on our affordable landscape maintenance programs. You can also complete our form below and we will contact you within 24 hours.